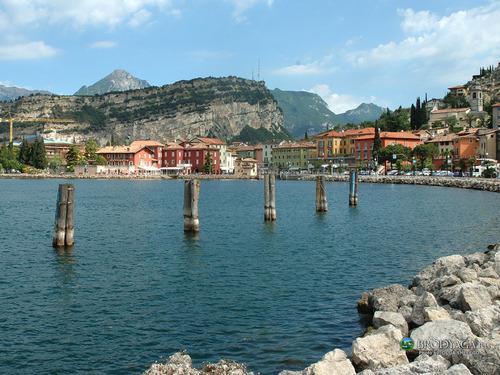 Lago di Garda. Lake Garda (Italian Lago di Garda oder Benaco) is the largest & deepest lake in Italy. It is located in Northern Italy, about half-way between Venice and Milan.. HD Wallpaper and background images in the Italy club tagged: italy travel europe. hey this place is so beautiful and also awesome such loveliness!! !